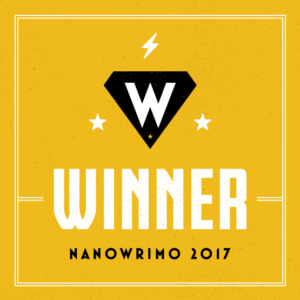 I’m happy to announce that I’ve finished NaNoWriMo and my novel! 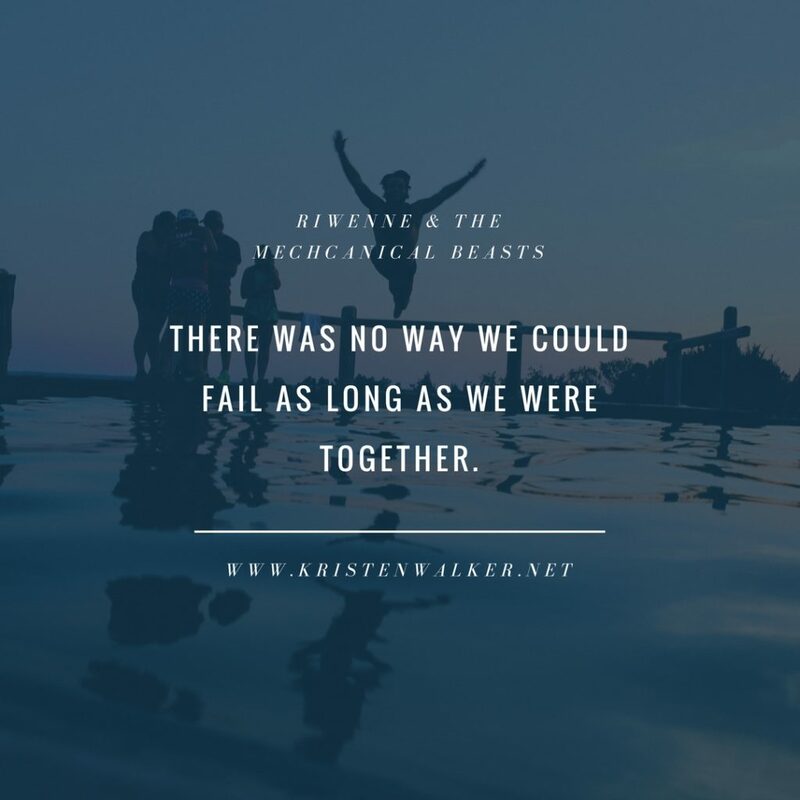 The above image shows the final sentence of Riwenne & the Mechanical Beasts. This was my eleventh time participating in NaNo and my fifth time finishing. The final draft ended up being 83,270 words, of which over 50K were written during November. It’s been a great month and I’ve had a lot of fun. 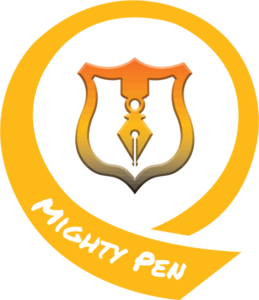 In another exciting development, The Mighty Pens team has blown away our fundraising goal! We were aiming for $10,000 but as of writing, we just hit $15K in donations and the number is still rising as we finish off the final hours of November. That’s a huge amount of money for the Malala Fund, and I couldn’t be prouder of our team. Together, we wrote over 2.5 million words and raised lots of money for a worthy cause. Thank you to everyone who helped us out and cheered us on this month: family, friends, and online supporters. Kat and Sooz of The Mighty Pens did a great job of keeping the team motivated, and there were other wonderful team members who also helped run word sprints and encouraged us online. Thanks as always to the NaNoWriMo team who run an incredible event every year. And thanks to you, my readers, who followed me on this journey. Today, I’m already starting the editing process. I’m aiming for an early 2018 release date for the novel. Keep an eye out here for updates as I make progress. I will probably get it onto online retailers for preorders once things have solidified. If you’ve been following along with my updates on social media, you could have seen some of the lines from this novel and I hope you found them exciting. (Of course, some of them may change in editing.) I’ll share longer snippets on this blog in December. I’d also like to share some of the behind-the-scenes info I’ve got for this novel. I’ve been working on this idea in one form or another for twenty years, so I have a lot of material. I won’t subject you to the entire (terrible) first draft, but I’ll show you some of my earlier scribblings. It’s transformed a lot over the years. I have sketches of characters, maps, a complex language, poetry–so I’ll pick through the best of these and show them here to you. I’m really excited to finally be bringing this novel into the world. I think I started and stopped so much because I wanted it to be perfect. It’s not perfect, but all of the time I spent practicing and writing other novels, I’ve learned a lot. And I believe this is the best novel I’ve ever written. I’ve certainly enjoyed writing it the most. Hopefully, you guys have as much fun reading it as I did creating it!